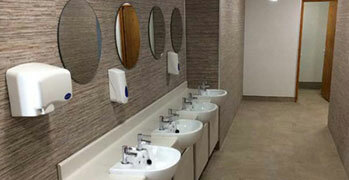 Onsite we have three modern shower and toilet blocks. These include sensor showers and underfloor heating. 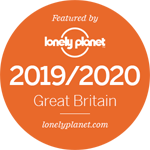 We have disabled shower and toilet facilities as well as unisex and family rooms. The main blocks also have hair dryers. The facilities are free to use and open 24 hourday. View our gallery for photos. Our tea room and shop are open 7 days a week from 8:00am serving hot drinks and light snacks throughout the day. We stock basic groceries, ice cream and cold drinks, beach sundries and camping accessories. Whilst camping there is access to free wi-fi covering the whole site. 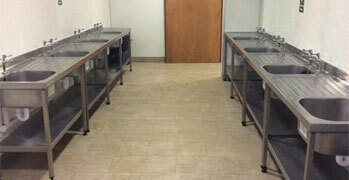 Dishwashing areas are situated on the caravan field and in the new block on the main farm yard. 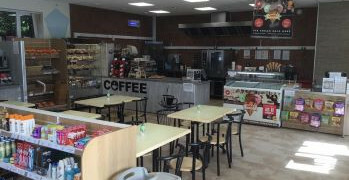 Both main blocks also have the free use of large fridges and freezers which are available for you to store your own food or for re-freezing freezer blocks, they are again open 24/7. (see FAQ's re cooling of alcohol). 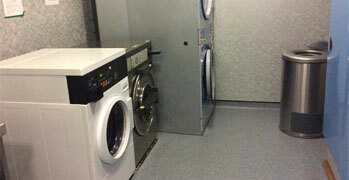 We have coin operated large washing machines and tumble dryers on site. Drying cabinets for walking boots and waterproof clothing are also available and coin operated. 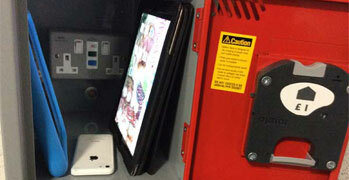 We have secure facilities for charging mobile phones and tablets, again available 24/7.